The physical changes that come with aging can put certain limitations on seniors. Perhaps your parents had to move to an assisted living community or give up driving. While these transitions are beneficial for their health, they might not see it that way initially. In fact, having to adapt during retirement can leave many older adults feeling without purpose. For instance, if your senior parents always hosted holiday dinners, and now they live in a retirement community, they might have difficulty with changing their roles in the family. "Having a sense of purpose is crucial for seniors." Having a sense of purpose is crucial for seniors. Patricia Boyle, a neuropsychologist at the Rush Alzheimer's Disease Center in Chicago, and her team conducted a study on two groups of older adults, age 80 on average. They evaluated the seniors' senses of purpose and how it related to their health. The study found that the participants with a higher sense of purpose were 2.4 times less likely to develop Alzheimer's than those who had a lower one. You might know your senior loved ones have value, but sometimes, it can be difficult for them to see it in themselves. Help them feel a sense of purpose by demonstrating how useful and needed they are. Asking them for advice is a simple but powerful way to do so. Whether you're facing a dilemma at work or your kids aren't doing as well in school, get your senior loved ones' perspectives. They have a lot of wisdom, after all. Are you decorating your home? Invite your senior parents over to help. They might not be able to physically move furniture, but they can certainly provide opinions about the design and style of the rooms. Many seniors need to see that they are part of something beyond themselves during their retirement. Help them achieve a sense of purpose by encouraging them to volunteer. It can be something as simple as socializing with the cats at an animal shelter. As long as they feel that they've made a positive difference, their whole outlook can change for the better. 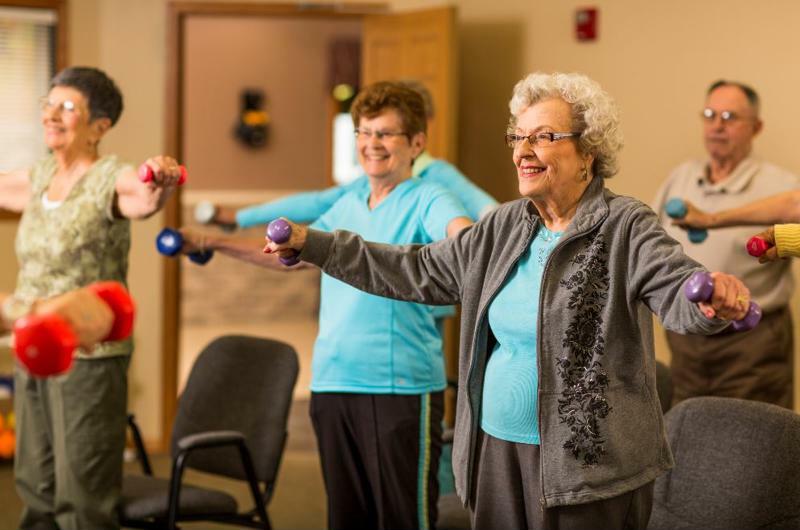 Signing up for an exercise class can give seniors a sense of purpose. When you wake up and have to go to work, you know your goal for the day is to get your job done. Retirees don't have to meet those daily demands anymore, but a full schedule can help them feel a sense of purpose. See what activities are available for seniors in their assisted living community. Is there a daily exercise class they can sign up for? Does their community offer a monthly book club? Help your senior parents commit to these events so they have something to look forward to. With a little encouragement on your end and involvement on theirs, you can help your senior loved ones regain their sense of purpose.